The Alfa Romeo Tipo 512 was intended for replacement for Alfa Romeo 158 Voiturette racing car. Designed by Wifredo Ricart as his second car for Alfa Romeo after V16-engined Alfa Romeo Tipo 162. The car was first mid-engined Alfa Romeo model. This racing car has flat 12 engine (technically speaking it is 180 degree V12) using mid-engine layout. With two Roots type superchargers, the engine could produce up to 225 bhp (168 kW) per litre. The engine had very short stroke compared to other Grands Prix cars at that time, only 54.2 millimetres (2.13 in). The potential of this machine is not so clear, since it is a prototype. The power of the engine measured at the bench was of 335 bhp (250 kW) at 8600 rpm. In the Alfa Romeo museum in Arese, alongside the 512 exposed is the following data:the maximum power (estimated) 500 hp (373 kW) at 11,000 rpm and maximum speed over 350 km/h (217 mph). The car development was finished in 1940 and stopped during World War II, another chassis was built also but this car never raced. 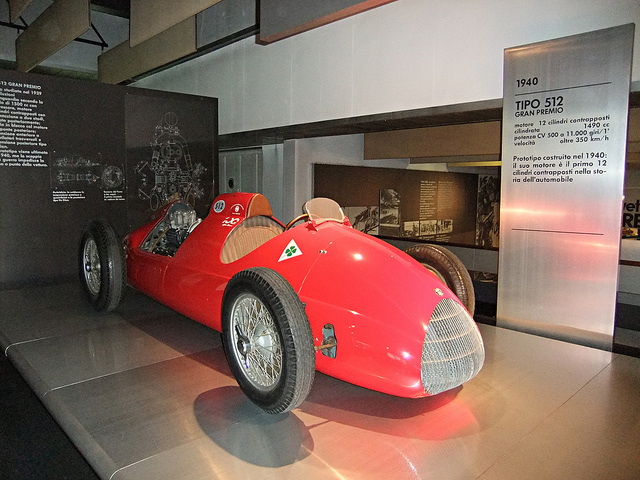 The Tipo 512 was first tested on September 12, 1940 by Alfa Romeo chief test driver Consalvo Sanesi, despite being very powerful its handling was not good enough. June 19, 1940 Alfa Romeo's test driver Attilio Marinoni was killed while testing 512 suspension fitted to an Alfetta 158. 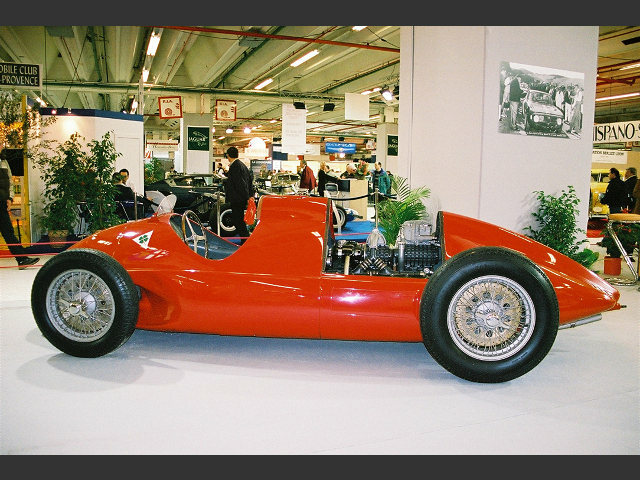 Alfa Romeo won the Formula 1 World Championship with the Alfetta 158 in 1950, taking the place for which 512 was originally designed. Only 2 prototypes were created. One complete car is owned by the Alfa Romeo Historical Museum in Arese, Italy. The other one is owned by the National Museum of Science and Technology "Leonardo da Vinci" in Milan, Italy. Last Updated on 10 March 2014 at 10:38.